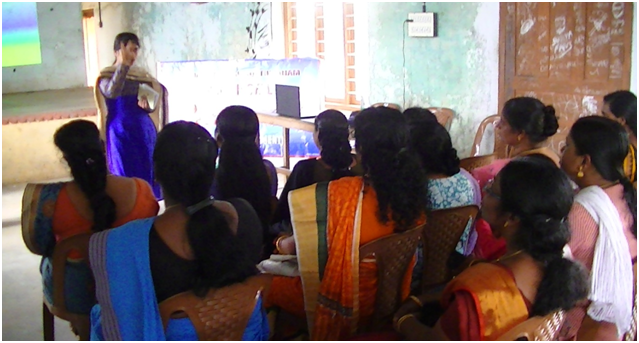 As part of its women empowerment programme, the Marian Women Cell, in association with the NSS, conducted a one-day awareness programme for the housewives living in the interiors of the tea estates of Pambanar, on Sunday 21 August 2016 at the Ranimudi Community Hall, Mookarthan Kavala. The topics were ‘Health and Hygiene’ and ‘Tips for Better Living.’ The classes were taken by Sneha Binoy (IIIB Com) and Rose Maria (IIIBSW). The classes rounded off with games for the participants and prizes were awarded to the winners.